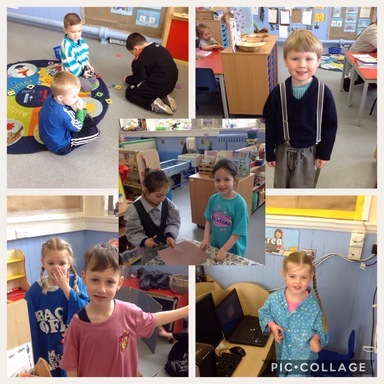 Following on from the Giant visiting Reception last week, some of the children requested a Giant Day. 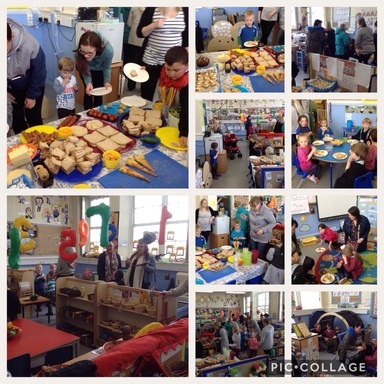 So today the children dressed in giant clothes, did giant activities, then we finished the day with a giant tea party with our parents. We played in the Giant’s castle, made castle models and did some giant writing. 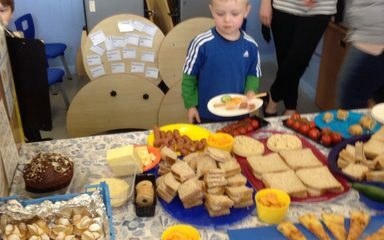 There was lots of huge food at the tea party. It was all delicious!